seriously, what made u think these would look good? 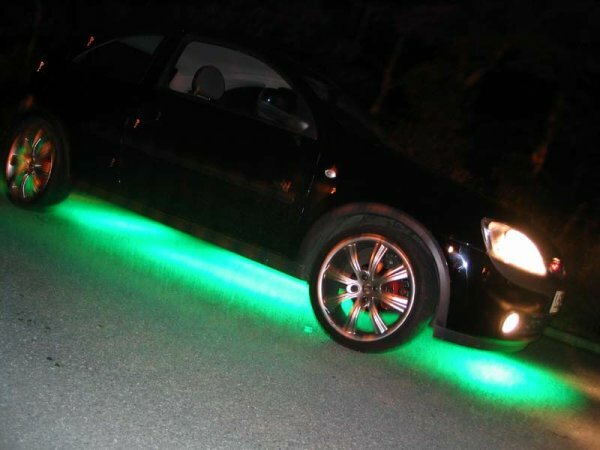 U2U chris_uk, as he has done undercar neons on his corsa c! wel l i think they look good! Agree..bloo looks the MUTZ ! Btw, could you use those ultra bright leds instead of neons? Just that they are cheaper than a neon. How many would you say i would need under a car?? Whats the law on this undercar lighting? I read somewhere its illegal on motorways or if other motorists notice them? Having a look in the maplins mag and they do high brightness multi coloured jobbies which allow you to get any in the spectrum between red and green. Could be abit of a git wire up though but never mind. Btw, what should i be looking at to determin if they are going to be bright enough? is it the wavelength (eg: 660nm)? Eitherway, i take it i should wire up the leds in serial rather than parallel? where abouts do u get the mains power from?? battery?? i dont get it??? when it goes to the fuse box?? where does it go in there?? of obcourse u have a modded car.......looks smoother than a babys bum! get em on ur car! chris u gett a body kit fitted soon? will make ur neon's look million times better m8! how much was it on sale for?? undercar neons dont go from the fusebox. it has its own transformer.. that needs to be bolted to your chassis. for the earth and a wire goes from the transformer to th live.. NO FUSE BOX! 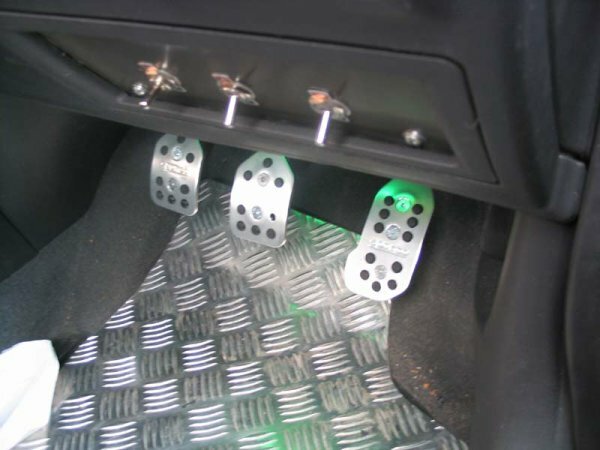 only neons i would advise to go throught the fusebox would be your footwell ones.